Although not a service directly offered by the company, Pei Wei delivery services are available all over the U.S. An order generally takes between 30 and 90 minutes to arrive, depending on its complexity and the distance between your address, the Pei Wei restaurant, and the business that conducts the delivery. Pei Wei is a fast casual diner chain in the U.S. that prepares customizable traditional Asian dishes. Before we go any further we want to mention that Pei Wei does not deliver directly – it only takes orders for pickup. However, Pei Wei delivery is available through other delivery services like Doordash or eat24hours. We gathered info on their menu, hours, and locations, plus 2 companies that deliver from Pei Wei n most U.S. states. Pei Wei has an extensive menu of traditional Asian food. Therefore, many of their dishes are spicy – trait marked with a red fire symbol in their online menu. As mentioned before, their dishes are customizable and address the needs of a large customer base, from families with children to those who want their food spicy, gluten-free, and/or vegan. Sushi. 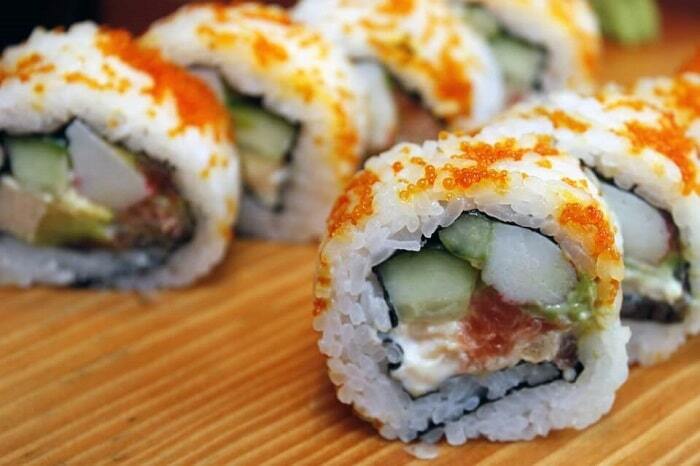 Spicy and mild sushi rolls, freshly hand-rolled and inspired by traditional recipes. They come in portions of 4 and 8 for about $4 and $8 respectively. Lettuce wraps. $7 per portion at the moment of writing, these come with mushrooms, sauces, Asian seasonings, and/or chicken. Entrée salads. $8 or $9 per serving, these salads have a wide range of traditional ingredients: from avocado to mango or rice & noodles. Wok rice. With soy sauce, garlic, mushrooms, peanuts, honey, peppers, ginger, and other local ingredients. Noodle bowls. With chicken, steak, shrimp, or vegetables, these contain freshly made noodles and other Asian ingredients. Chicken, vegetable, and tofu dishes cost about $7 for a small portion and $9 for a regular one at the moment of writing. Steak and shrimp dishes, on the other hand, added $0.50 for a small serving and $1 for a regular one. For children 12 or under, Pei Wei prepared a selection of Asian dishes that are healthy and nutritious. Teriyaki, honey seared, lo mein, or sweet & sour are the main kid’s attractions, but so are some of their extras. Small plates. Hummus, spring rolls, wontons, soups, and other plates to complete your meal. Fresh cookies. Chocolate chip or snickerdoodle, for $1 per piece. Drinks. Water, hot & iced tea, and other drinks for a little over $2 per serving. For a price between $7 and $10, Pei Wei offers gluten-free products to its customers. These include vegetable, chicken, and shrimp dishes plus a selection of extras. Many traditional Asian dishes underline the flavors of local herbs and vegetables. 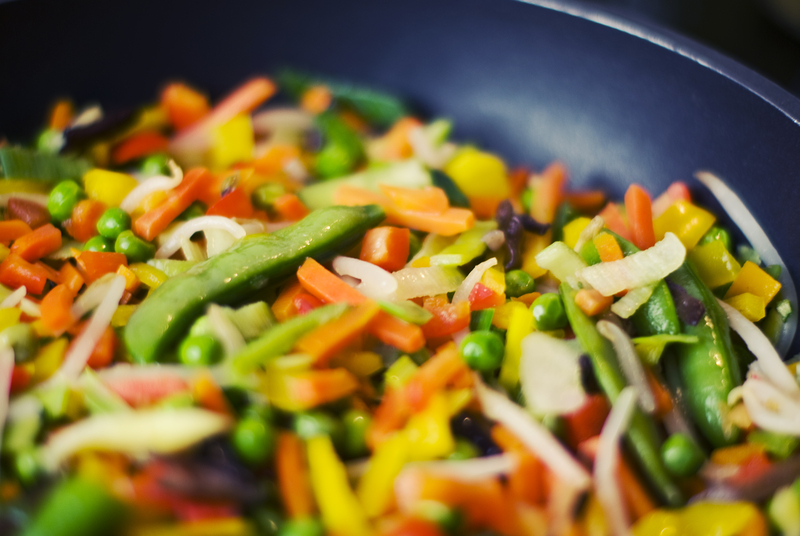 Simply check out the menu, which shows a comprehensive list of ingredients for each dish. 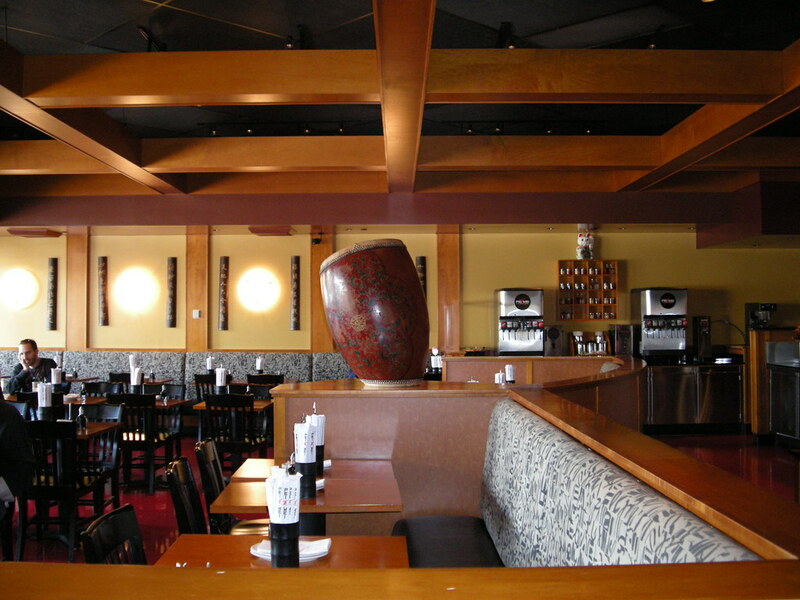 Pei Wei has 190 locations countrywide and other 5 international locations. Most third-party businesses deliver within a 20-mile radius from the restaurant. Most Pei Wei locations are open between 11:00 AM and 9:30 PM Sunday through Thursday, and between 11:00 AM and 11:00 PM on Fridays and Saturdays. Their online ordering system is available during these hours. Locations in busier areas might have more extensive schedules, while others in less crowded places might close down early. Nevertheless, note that you should place your order at least half an hour before their closing time. Online ordering is free at Pei Wei if you are willing to pick up your order. However, third party companies will charge you for delivery services. Depending on the distance between their location, the Pei Wei restaurant, and your address, delivery can cost between $5 and $30. To order from Pei Wei, simply go to their website and select your favorite products for pickup. If you want them delivered, however, go to aggregate food delivery services like DoorDash or eat24hours and look up the nearest Pei Wei location. You can pay for your order in cash or via credit or debit card. If you are a regular customer of Pei Wei, you will also benefit from their customer loyalty program. By accumulating points from each order, you will benefit from free food and other rewards. If you choose to order delivery from a third party, you might have to pay when you place the order. The rewards do not usually apply when ordering via a third party, though. Although not offered by the company, Pei Wei delivery services are available through third party businesses. If you are looking for traditional Asian food that’s freshly made, Pei Wei is a great choice. Just make sure to check the allergen information on the official Pei Wei website. You can also use the (480) 539-4454 phone number to get in touch with the company. And keep into account you will only be able to order for takeout directly from Pei Wei. Hey Buddy!, I found this information for you: "Pei Wei Delivery 101: Areas, Hours, Fees". Here is the website link: https://all2door.com/pei-wei-delivery/. Thank you.